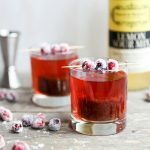 Cranberry Whiskey Sour recipe with sparkling cranberries. Add 1 cup of fresh cranberries and 1/2 cup of P&M Lemon Sour Mix to a shallow bowl. Let the cranberries soak in the P&M Lemon Sour Mix for about 1 hour, stirring occasionally. Strain the cranberries, collecting and reserving the P&M Lemon Sour Mix (you can use it for making the cocktails). Spread 1/2 cup of granulated sugar out onto a large plate. Add the strained cranberries and roll them around to coat them in the sugar. The sparkling cranberries can be used immediately, or transferred to an airtight container and stored in your refrigerator for about 5 days. 1. 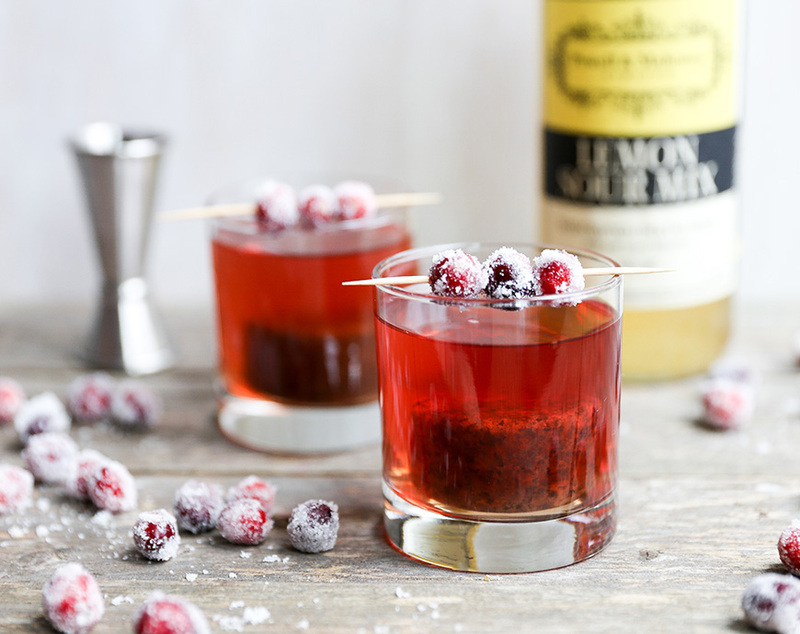 In a shaker, combine the whiskey, P&M Lemon Sour Mix, cranberry juice, and ice. 2. Shake and strain over fresh ice. 3. 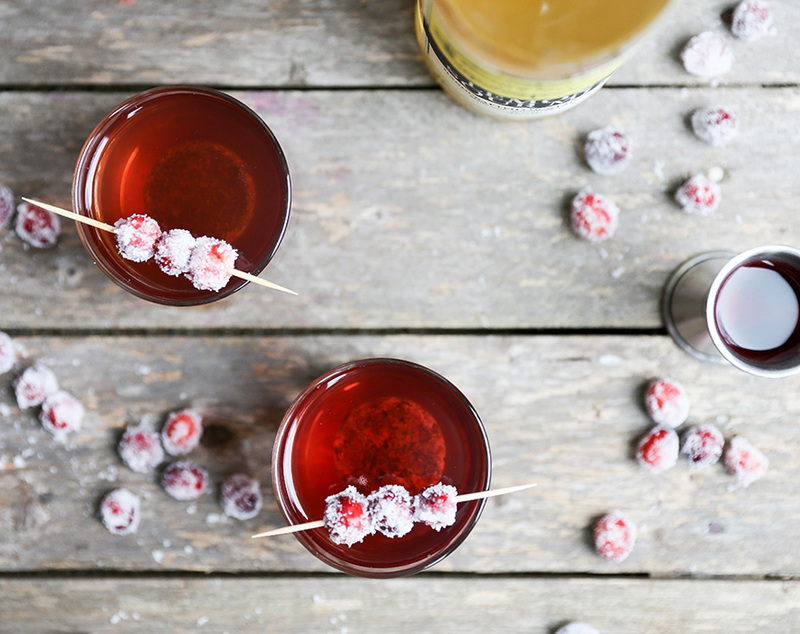 Garnish with a few sparkling cranberries. Serve immediately.